WE FINALLY got around to watching two of the recent movies in the Superman franchise. (We don’t go to theaters much anymore.) It reminded us how obvious it is that pop culture is doing a far better job of selling theology than the church. 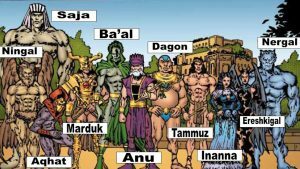 Unfortunately, the counterfeit theology of the comics and Hollywood has been indoctrinating Americans for more than half a century. We have no excuse. We own the guidebook to the supernatural. If you’d like an alternative to Hollywood’s offerings, we recommend Brian Godawa’s Chronicles of the Nephilim and his Chronicles of the Nephilim for Young Adults. 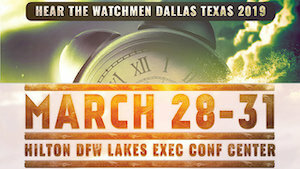 Join us in Dallas March 22-25, 2018 for the Hear the Watchmen Conference featuring L.A. Marzulli, Carl Gallups, Bill Salus, and many others! Save $20 on your registration by using the promo code GILBERT20 at www.HearTheWatchmen.com. There are still a few slots available if you’d like to join us and Dr. Michael Heiser for our tour of Israel May 6-16, 2018! Click here for more information. If you’re interested in joining Steve Quayle, Timothy Alberino, and us for the True Legends Expedition to Rome and Sardinia, click here for more information.